If you need quality and professional advice regarding building surveys and a variety of other, professional services for your property or project in Crawley and the surrounding areas, look no further than Tim Greenwood & Associates. We are a local company with an experienced, high quality team that specialises in all types of building surveys, along with a number of other associated services. Our professional team has a combined working experience of over 45 years in the field, and many of our team members are degree educated. If you need expert advice at competitive rates, then Tim Greenwood can offer you quality, friendly advice. Recognised by the Royal Institution of Chartered Surveyors as experienced professionals, we are a local team with an extensive knowledge of the Crawley area, so we can take into account any effects that the environment may have on your property during our survey. Our team consists of professional consultants, charted building surveyors and specialist residential surveyors so that we can provide all of our clients with a broad range of services suited to the needs of your individual project. Plus with a variety of different specialists on our team, we are capable of assisting projects across all property sectors, whether residential, commercial or industrial. Tim Greenwood founded Tim Greenwood & Associates in May 2012 and since then has worked hard to establish a reliable, first class business that ensures all clients throughout the South receive honest and reliable surveys and reports that allow them to make an informed decision on their potential property purchase. Utilising his extensive experience with over 20 years in the surveying business, Tim has worked hard in conjunction with a highly skilled team to create a business that has its clients’ best interests at heart. We provide all our clients with a range of services, including but not limited to technical reports, building and compliance surveys, development project monitoring and reinstatement cost assessment. We are willing to work with both landlords and tenants, providing you with assistance and advice that you can count on. 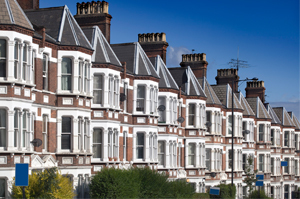 If you are a landlord and you are concerned that your tenants may not be maintaining your property in accordance with Health and Safety Regulations, we can provide you with a full survey and photographic reports of any issues that we find. Alternatively if you are a tenant and are worried that your landlord may be neglecting your property simply give us a call and we will be happy to help assess your options. Our Building Survey service ensures that our clients know everything they need to know about the condition of the building they are planning to buy, including potential immediate and urgent defects, potential problem areas and the local geography and climate of the property. Our survey findings are designed to provide the client with ample information regarding the overall condition of the property, allowing potential buyers to consider the financial implications as to the costs of reparation and renovation on the property. This can then lead to our clients making a revised offer on the property or entering into further negotiations regarding the cost of the property. We can also arrange for the inspection and testing of mechanical and electrical services if required, offering essential advice as to what can be done to remedy any potential problems that may occur. We have worked with a huge range of different clients offering our first class services to customers throughout the South. Previous projects we have provided detailed restoration reports on include damaged properties, properties that have sustained lasting wear and tear as well as developmental reports throughout central London. Working closely with any appointed consultants we make sure to provide a detailed report of all our findings including advice on how to proceed with repairs and developments in order to ensure that the project continues as smoothly as possible. For our full list of services or if you have a query on the services we can provide for clients living in Crawley and the surrounding areas, you can contact us on 01737 829070 and speak to a member of our friendly, professional team. With extensive experience surveying all property types throughout the south of England, we offer a friendly, reliable service that allows you to make an informed decision during the purchase of a new property. To get in touch you can also the Contact Us form to the right of this page by filling in your query, and we will get back to you. It is important to have the support and information you need when buying a house, which is why Tim Greenwood & Associates go above and beyond expectations to provide detailed and thorough reports. We look forward to hearing from you.